Initial weigh in, measurements, body fat composition, and before pictures. Specific info on what you can and cannot eat. You don’t need to count macros, but you will have “yes” and “no” food lists and you should log what you eat and drink. Suggested daily menus with recipes and weekly shopping lists. Daily tips, suggestions and support from the coaches and Infinite Loop CrossFit community, both in the gym and via a closed Facebook group for all challenge participants. Necessary resources for the challenge will also be emailed to everyone. Post challenge weigh in, measurements, body fat composition, and after pictures. PRIZES available for the winner, including a free 30-minute personal training session and $50 Rogue gift card. We are officially starting the detox on Tuesday 1/22/2019 (just after MLK weekend). However, you will start getting daily advice and preparation instructions from us the week prior, starting 1/15/2019. 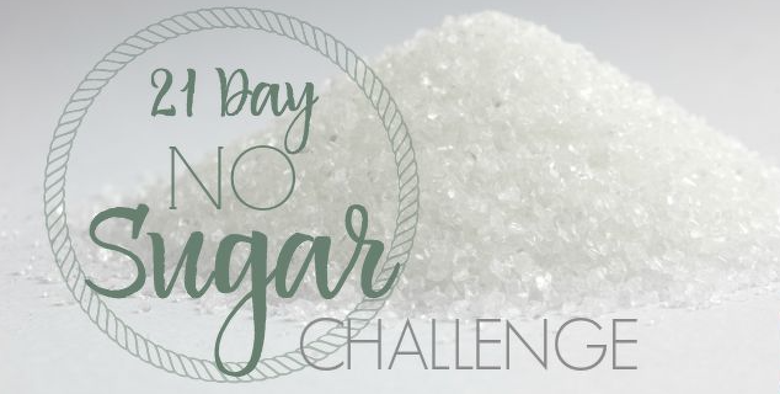 What do I need to do to get ready to start the challenge? For the week leading up to the start of the challenge, you will get information daily to help you understand what to expect, get yourself in the right mindset, and start the necessary shopping and prep for when the challenge officially starts. You will be given detailed lists of what foods you can and cannot eat (“yes” and “no” foods). And we’re taking it a step further by giving you daily menus with recipes, food prep tips, and a weekly shopping list! You’re not required to follow the exact meal plans - as long as you stay with the “yes” foods and avoid the “no” foods, you are good to go… but the meal suggestions are provided as guidelines to help keep you on track and keep you from getting into a rut. We recommend 3 full meals each day plus one snack. If you feel satisfied enough from your meals alone, the snack is not required. If you feel hungry between meals and need an additional snack, that’s okay as well, but just no more than 1 piece of fruit per day. On the days I work out, should I eat differently? You may wish to add an additional portion of a starchy “activity” carb (from the “yes” list) on days you exercise. Make sure you are not under-eating, which can make you feel tired, hungry or weak. There’s no reason to avoid challenge-approved starchy carbs and eating them may actually make you more successful if you feel more energetic, satisfied, and keep other cravings at bay! Why does the challenge cost $49? The Infinite Loop team is invested in your success, and we want you to feel invested as well! You are more likely to stay committed through the 3-week period when you’ve got some “skin in the game”, and the cost enables us to give you specific meal plans and daily support. Not to mention, there will be some sweet prizes for the winner! How do you “win” the Challenge? There will be an online points system for all challenge participants (through the Triib app). Of course, priority one is sticking to your “yes” foods and avoiding the “no” foods. In addition to staying consistent with the sugar detox food guidelines, there will also be points available for getting a good night’s sleep, attending at least 3 workouts per week, and sufficiently hydrating. Can I join the challenge if I’m not already a member of Infinite Loop CrossFit? Absolutely! We’d love to have you come in for a No Sweat intro with us prior to the start of the challenge so that we can discuss your goals and get you started. Get at least 7 hours of sleep per night. Stay hydrated! It will not only keep you fuller longer, but benefit your workout and help you feel better overall! Working on your mobility great for your body! Not only keeping you flexible, but also aides in digestion! Get some time in for yourself. Workout at least 3 times per week.